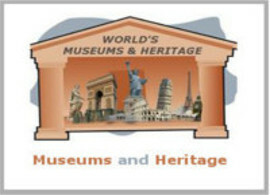 Museums and Heritage– Discover the most visited museums in the world, comes with pictures, and will give you plenty of ideas for top museums to see on your own travels. The Museum of Art of Puerto Rico is an art museum in San Juan, Puerto Rico. It is one of the biggest museums in the Caribbean and a local house for collections from the 17th century. The new east wing, which is dominated by a five-story-tall stained-glass window, is the work of local artist Eric Tabales. The museum is located in the heart of Santurce, steps away from the Luis A.
Museo de Arte de Ponce is an art museum located on Avenida Las Americas in Ponce, Puerto Rico. It houses a collection of European art, as well as work by Puerto Rican artists. The museum contains one of the most important Pre-Raphaelite collections in the Western Hemisphere, holding some 4,500 pieces of art distributed among fourteen galleries. Castillo Serrallés is a mansion located in the city of Ponce, Puerto Rico, overlooking the downtown area. It was built during the 1930s for Juan Eugenio Serrallés, son of businessman Juan Serrallés, founder of Destilería Serrallés. The structure sits on a 2.5-acre (1.0 ha) exceedingly manicured property. Hacienda Buena Vista, also known as Hacienda Vives, is a coffee plantation and estate in Ponce, Puerto Rico, established in the 19th century. The plantation was started by Don Salvador de Vives in 1833. It is now owned by the Puerto Rico Conservation Trust (Fideicomiso de Conservación), who operates it as a museum. The Puerto Rico Museum of Contemporary Art, often abbreviated to MAC, is a contemporary art museum in Santurce, Puerto Rico. The museum was founded by artists and sponsors of the civil society and was officially instituted on October 8, 1984 as a non-profit organization. The Catedral de San Felipe Apóstol, or in English, Cathedral of St. Philip the Apostle, is a Catholic cathedral located in Arecibo, Puerto Rico, United States. It is the seat of the Diocese of Arecibo. The Cathedral of Saint Philip the Apostle was built beginning in the late 18th century.